The glass is picked up, the red liquid swirls inside. The scent of intoxication is lethal, a few sips are taken. It rushes to the head, an electrifying high. The fluidity to your person seems easier, no sense of right and wrong. The heady scent of liberty. It’s easier to pretend that a unicorn is vomiting rainbows and a leprechaun is handing out free gold. It’s hard to see why drinking could be addictive. Drinking is sort of a taboo subject in Rosslyn, even if you’re of age. If a person is going to drink, he might as well do it in the privacy of his own home without any peers. Rosslyn’s stance on drinking is more than clear; more so is Kenya’s stance on drinking. The legal age in Kenya is 18, Rosslyn’s is G.R.A.D.U.A.T.E.D. 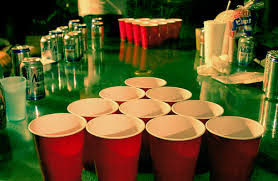 Drunkenness is no joke, students have gotten in trouble for being inebriated on school campus. People are always more interesting (stupid) when drunk. I talked to Mr. Wolfe about the drinking policy, which states that even if a Rosslyn Student is of age, he/she may not drink in public. This has become a problem for many seniors, who argue that if they have the country’s permission, why can’t they? The underlining issue is actually the influence, which both Mr. Wolfe and Mr. Beyer agreed upon. Nowadays peer pressure is the norm, especially when it comes to social drinking. If a student of age is with a friend who is below the age of 18, he/she may influence this other student to drink. Another issue is that Nairobi is small; a student may not walk around with a badge saying Rosslyn, but word gets around. ISK has a certain reputation, one that Rosslyn is determined not to have. “Drinking is ok, but in the privacy of one’s home and with parental consent,” Mr. Wolfe states. In my opinion, this is a reasonable rule. Is it so bad that Rosslyn bans drinking? Mr. Enns, a literature teacher, broached the subject of the churches whom the school represents and their stance on it. It would be a show of impudence to lift this rule especially if the churches are clear wherein they stand. I have had the privilege of having parents and a family who do not drink, so it’s not an issue, but my parents do have the occasional glass of wine and I do participate. Everything is OK, as long as it’s in moderation. Weeks ago I sat at a dining room table having a conversation with an American couple that I consider good friends and mentors. The conversation was initially purely political, but one cannot discuss America-related politics for too long without discussing America’s foreign policy, and one cannot discuss America’s foreign policy for too long without discussing religion. Living in a post-911 world, the question of Islam will always hang over the discussion of America’s relation to the world around it today. And this conversation evidently wasn’t an exception. I paused. I had some sense of the direction he was heading with that statement, but I didn’t want to leave room for assumption, and so I asked him to elaborate. The statement, although hardly unusual, was nevertheless striking. It does seems like every other day there is some report of another terrorist attack by some Anti-Western Arab somewhere in the world, and wherever in the world that may be, there seems to be, at first glance, a common thread running through these attacks: Islam. Islam, then, must be the root of this problem, or at least that is the perception of millions and millions of people today. This is a perception that is continues to define Islam in the 21st Century more and more. When one speaks of Islam, it often incurs images of teenage boys with pounds of C4 strapped to their chests, Arab militants holding AK47s hoisted in the direction Western soldiers, and of course, an airplane flying through a skyscraper that defined a skyline, turning it into rubble and ash in what seems like slow motion but lasts seconds. That is the Islam we know today. Is this perception warranted? It seems like every time one opens the newspaper or turns on a major news network one hears of some Islamic faction that has killed a certain number of people with some sort of crude bomb, or a little less often something even more devastating. Is Islam prone to violence? Does Islam push its adherents to acts of atrocity? Are the millions of people opposed to Islam as a result of its violent inclination rightful in their perception of it? It would be incongruous to believe that the Muslims who are committing atrocities are any more pious than the Muslims who aren’t. They pray the same number of times a day, go to the mosque with the same regularity and read the Quran just as often as each other. If Islam truly was the “common thread” through terrorist attacks then the Muslim you might walk past in the store would want to kill you just as much as the Muslims who do want to kill you so much they are willing to kill themselves in the process. It cannot be religion alone. These terrorists are driven more so by politics than they are religion. There is not a single recorded instance of terrorism the motivation of which has been purely religious, with no political inclination. The motivation is almost always political, and religion is made the fuel, not because of the religion itself dictates these measures in principle, but because there cannot be any stronger fuel than religion. But even if it is politics rather than religion that is the basis of terrorism, why is it that Islam seems more inclined to corruption than other religions? The answer is it isn’t. The FBI database records that in the time after 9/11, of the thousands of terrorist attacks that have occurred on American soil, only 33 were Islamic in nature (even counting instances very loosely related to true Islamic terrorism, as it includes attacks generally by anyone from Palestine, Lebanon, Indonesia or any other Arab country, and anything related to other loosely related groups such as the Black American Moslems). There were more Jewish terrorist attacks than there were Muslim, and twice as many people killed in school shootings. Islam has over one and a half billion followers today; Christianity being the only religion with more adherents in the world. Those participating in these terrorist acts being reported in the media constitute to much less than one percent of the Islamic population. This in itself shows some discrepancy in the belief that Islam is intrinsically violent, one that anyone who advocates that Islam sanctions terror has to reconcile. If Islam is violent in its core, then why do a miniscule minority contribute to the number of terrorist acts seen today? Why aren’t the other 99% strapping on suicide vests and killing along with them hundreds and thousands of people? But even if the majority of adherents of the religion aren’t violent, does that really prove that the religion itself doesn’t approve of violence? The Prophet Muhammad’s own life must be taken into consideration in the discussion of the seemingly evident Muslim inclination to violence. His hands were far from bloodless. From the time of Allah’s first revelation to him to the day of his death, Muhammad carried out 78 bloody campaigns against non-believers, or “infidels” in the name of God. One can hardly be surprised at the actions of Bin Laden, Al Qaeda and Al Shabaab when the actions of Muhammad himself are taken into consideration. Can a religion, whose founder was responsible for the killings of thousands himself, ever make the case for being anything but violent? This, of course, is just one example. If we are willing to accept Islam as a violent religion, objectivity would demand we accept Christianity and Judaism along with it, and almost all other structured religions. How can one speak of “Jihad” or Muhammad’s raids scathingly and ignore the Spanish inquisition, the Crusades, Moses’ extermination of the Seven Nations and so on? Any religion can be politicized, and all structured religions have been politicized at one point in history or other, of course, to varying extents. Everything from Christianity to Buddhism has been politicized, and thereafter militarized, and from that point terrorism is born. 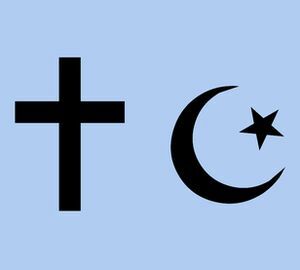 No religion is exception to this, so why should Islam be isolated and singled out? If we want to combat terrorism, we have to begin by identifying the source to prevent it before it begins. If we blame individual religions, then we will hardly scathe the problem, if not aggravate it. The Middle East is highly politically unstable for many historical, ethnic and economic reasons, and when looking in the wrong direction, it seems like Islam, not any of these other factors, is the “common thread” through these troubled regions. A post 9/11 world holds Islam guilty for the political climate of these areas, and although Islam isn’t faultless, it is not responsible for politically charged individuals who use religion as a tool to pursue their own whims. There are innumerable scriptures in the Quran that command high esteem of peace and justice, and for any individual to choose to define the religion of 1.6 billion by the actions of a decimal of them in the name of their religion in opposition to those values is unjust and inequitable. Islam isn’t guilty, at least any more than any religion is, so the noose over its head should either be taken away or placed over every other religion alongside it.